LAEM CHABANG, Thailand - The crew of the guided-missile destroyer USS Halsey (DDG 97) arrived in Laem Chabang, Thailand, Dec. 22, to enjoy a port visit during the holiday season. "This visit gives Halsey Sailors the opportunity to experience the Thai community,” said Cmdr. Linda Seymour, Halsey’s commanding officer. “We can learn, relax, and recharge, while we, in turn, strengthen the bonds between the United States and Thailand, which is so crucial to promoting security in the region." In addition to participating in a series of community service projects during their visit, the proud Destroyermen of Halsey will also be given the opportunity to experience the rich culture of Thailand with various tours of local historic locations and regional attractions provided by the ship's Morale, Welfare and Recreation (MWR) association. Some of the Sailors will also be able to spend time with their family, friends and loved ones who will be flying out to Thailand to enjoy time together during the holidays. 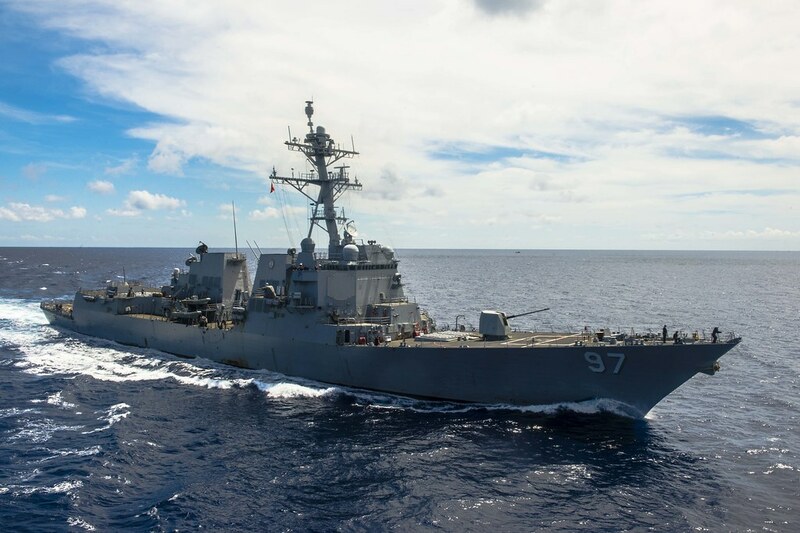 Halsey, home ported in Pearl Harbor, Hawaii, and is currently on deployment in the U.S. 7th Fleet area of responsibility promoting security and stability in the Indo-Asia-Pacific region.